I don’t do sbcs and this is exactly why. But lots of people do and I think this is going to be the last straw for most players. Ea you are a disgrace. Ea screwed up on this one. But knowing them they have something up there sleeve. Watch them give us a free icon. They have enough stupid people with too much spending money to worry about screwing up. 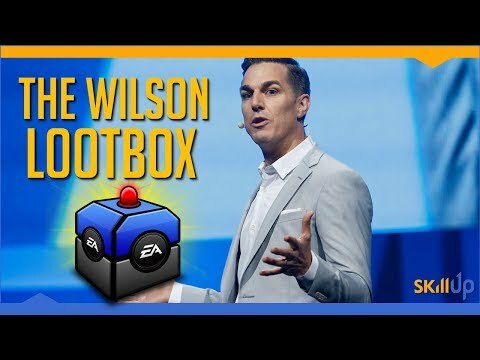 What everyone is forgetting, EA have been a very well established compny for some time mow you think all there eggs are in one basket with FIFA? A multi-billion dollar company like EA dont really beed to care about a few thousand disgruntled fans, because for every one person who doesn’t P2W there are five that will. EA haven’t purposely put all their eggs in the fifa basket. It has happened through their ineptitude. They’re unable to make good games. The monopoly they have with fifa is what keeps them afloat. They’re right to panic. If fifa points take a big hit in some major markets due to legislation, they have a major problem on their hands. Youtubers sometimes just chat shi* in my opinion, they say their disgruntled etc but lets face it as a result they get more views which leads to more money for them. (Bet my wage Bateson and the other popular youtubers dump thousands on packs). Yeah read a report a few days ago and it’s fifa that’s keeping them going. It will be so good if they ever go bust. Obviously they won’t but imagine if they did. They’ve destroyed so many games. Remember command and conquer? Final straw for me personally. I feel like I've had my pants pulled down. Under the false belief I had a PRIME Icon. That’s true, although imagine if people like Bateson actually stuck to their guns and spent, say 100£ instead of 2,000? They would get the message in a hurry. I learned from last years FOF debacle where they screwed over virtually everyone with a TOTS card. And yet I still did Prime Rivaldo and Figo. I think they will do the “trade in” SBC though once they see all the negative reactions. I haven’t even done any prime icon SBCs and I’m very very bugged about this ! Seriously idk how they can get away with this. Basically stealing and pure greed. Tbf if you stay up to date with EA finances, you would see they make more money of micro transactions across all their games (Mostly ultimate team across all there sports games ) than they do from actual game sales now. This is old but still relevant, not to mention the time since the post has only increased the figures in the video. There stock plumitted off the back of Battlefront 2 and BF5. It's only going up now because of apex, so they can clearly see changes are needed in the way they manage and release there games. As for not being worried about a few thousand disgruntled fans, you are incorrect. The reason Battlefront 2 stung them is because gaming isn't what it used to be, it's a huge industry now. With none stop interviews, TV coverage, millions watching on YouTube, daily if not hourly articles read by millions of people etc, and they all expressed there concern with the model the game was based off of. But, when it comes to fifa you are correct it will take more than us on the forums to change the way this game works. I mean damn, so far the only one's who have influenced it are governments (Belgium etc). The problem is if you love football and video games, you probably love fifa. With only PES to challenge ( 🤣 ) this is the go to when you fancy a game of virtual football. Honestly EA could do alot worse to this game and millions would still buy it for this very reason. It's sad, but true. Edit- Content creators dont help, seeming as most of the big one's only seem to praise Fifa, no matter what. I have Best and Campbell from SBC, I’m meh on the new icons. Just a +1 stat boost so doesn’t really bother me. Honestly, the biggest screw up for EA this year is setting Ibra so cheap. He is arguably the best striker in the game and everyone has him. Should have been Icon level cost. So you aren’t even miffed in the slightest that you were misrepresented the best version of a card, dumped 1.5+ million into an untradeable version, only to have a better one release a couple days later? If it had been the case since day one, there’s wouldn’t be an issue, but for them to pull the rug out from everyone just because they feel like it is absurd. I hear ya, but no, it doesn’t bother me. I did the SBC for the packs + 93 rated card and that’s what I got. If given the option of doing the same SBC again or buying outright the 94 card, I’d do the SBC. Full disclosure, I got a lot of coins so 1.5 Million isn’t a devastating amount for me. If the winter upgrades go my way I’ll net 3 or 4 million right there from my investments. They did it in previous FIFAs, but after the new one came out lol. I may be one of the few who actually has enjoyed all the new promos and boosted cards, numerous as they have been, but this latest promo is too much. Some of the icons got more than a +1 stat boost. Look at Henry, he got +4s and +6s in some areas. This will not be a promo with just m-icons in packs. I guess something with trading sbc. EA commits reputation suicide every other month these days. The FP ban is the only thing that will really hurt EA, but the people are hella mad. EA Is run by shareholders for shareholders, not gamers. We’re the bottom **** in this hierarchy and frankly they can go **** themselves now. Prime prime icons. I still can’t get over it. What a complete joke of a company. New icons would have been ok. There are a lot of ways to milk money instead of screwing up the whole communitike that.